Microsoft today issued security updates to fix at least 19 vulnerabilities in its software, including a zero-day flaw in Internet Explorer browser that is already being actively exploited. 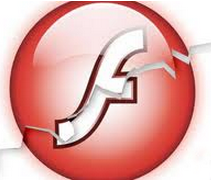 Separately, Adobe has released a critical update that plugs at least two security holes in its Flash Player software. Three of the eight patches that Microsoft released earned its most dire “critical” label, meaning the vulnerabilities fixed in them can be exploited by malware or miscreants remotely without any help from Windows users. 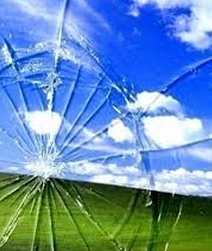 Among the critical patches is an update for Internet Explorer (MS13-088) that mends at least two holes in the default Windows browser (including IE 11). MS13-089 is a critical file handling flaw present in virtually every supported version of Windows. The final critical patch — MS13-090 — fixes essentially another IE flaw (ActiveX) that showed up in targeted attacks late last week. Microsoft says attackers used a second, “information disclosure” vulnerability in tandem with the ActiveX flaw, but that the company is still investigating that one. It noted that its Enhanced Mitigation Experience Toolkit (EMET) tool successfully blocked the ActiveX exploit. Nevertheless, it’s important for IE users to apply these updates as quickly as possible. According to Rapid7, exploit code for the ActiveX vulnerability appeared on Pastebin this morning. “It was known to be under some targeted exploitation, but that will probably expand now that the exploit is public,” said Ross Barrett, senior manager of security engineering at Rapid7. “I would call patching this issue priority #1.” For what it’s worth, Microsoft agrees, at least according to this suggested patch deployment chart. Today’s patch batch from Redmond did not include an official patch for yet another zero-day vulnerability that has been under active exploitation, although Microsoft did release a stopgap Fix-It tool last week to help blunt the threat. The company also is once again advising Windows users to take another look at EMET. Check out Microsoft’s Technet blog for more information on these and other updates that the company released today. In a separate patch release, Adobe issued a fix for its Flash Player software for Windows, Mac, Linux and Android devices. The Flash update brings the ubiquitous player to v. 11.9.900.152 on Mac and Windows systems. Users browsing the Web with IE10 or IE11 on Windows 8.x should get the new version of Flash (11.9.900.152) automatically; IE users not on Windows 8 will need to update manually if Flash is not set to auto-update. To check which version of Flash you have installed, visit this page. Direct links to the various Flash installers are available here. Be aware that downloading Flash Player from Adobe’s recommended spot — this page — often includes add-ons, security scanners or other crud you probably don’t want. Strangely enough, when I visited that page today with IE10 , the download included a pre-checked box to install Google Toolbar and to switch my default browser to Google Chrome.